Blarney on the Block is fun for all! 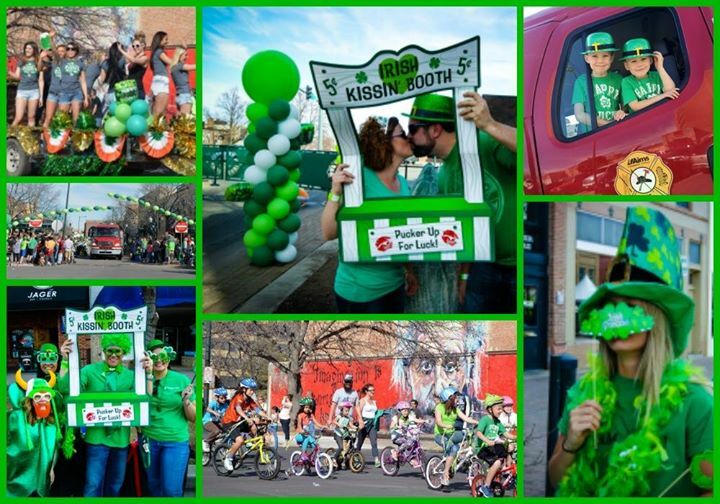 Enjoy a St. Patrick’s Day celebration in Downtown Greeley. Blarney on the Block is full of small-town and family-friendly fun! Avoid the crazy crowds in other big cities and come to a celebration where the whole family can relax and have fun outside together. The event starts at 2 pm with Irish Step Dancing followed by our annual “First National Bank Blarney Parade” at 2:30. Everyone can join! On the 9th St plaza you’ll enjoy the bagpipes and drums of the Caledonia Pipe and Drum Band again, followed by Irish music on the 9th Street Stage with “Juice of the Barley” and Go-Cup on 9th Street. There will be kid’s activities, face painting, a photo booth with props, and MORE!